I had a great day in the "Magic City" of Birmingham, once called Bombingham during the Civil Rights struggle of the early 1960s because of the number of bombings. Birmingham was definitely a focal point of the Civil Rights movement and there is an incredible Civil Rights Institute that everyone should visit. It is right across the street from the 16th Street Baptist Church that was bombed in September 1963, killing four African-American girls, a major moment in the struggle. But Birmingham is now a thriving center of banking and insurance, but remnants of its iron age past remain. The Sloss Furnaces, for instance. And the famous Vulcan Statue, monument to the mining and steel industries that surrounded the city. What? The sun was on his back!! And of course, one of the greatest bookstores in the South, Alabama Booksmith. Jake, Mary and Clay are truly wonderful. They showed me and Clovis true hospitality. I enjoyed my time there thoroughly and look forward to going back again. 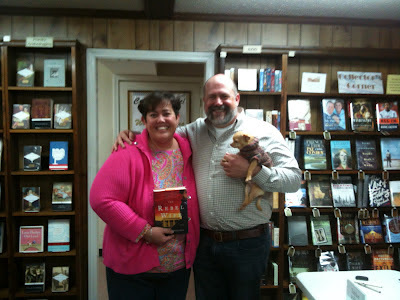 Stephanie and David drove in all the way from Dalton, Georgia! 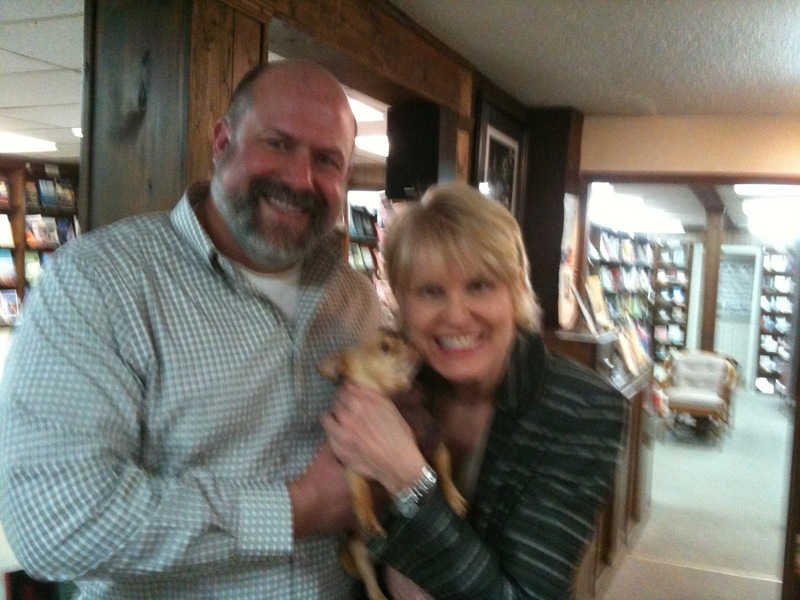 And Clovis got to make the rounds! And look who's coming in March! 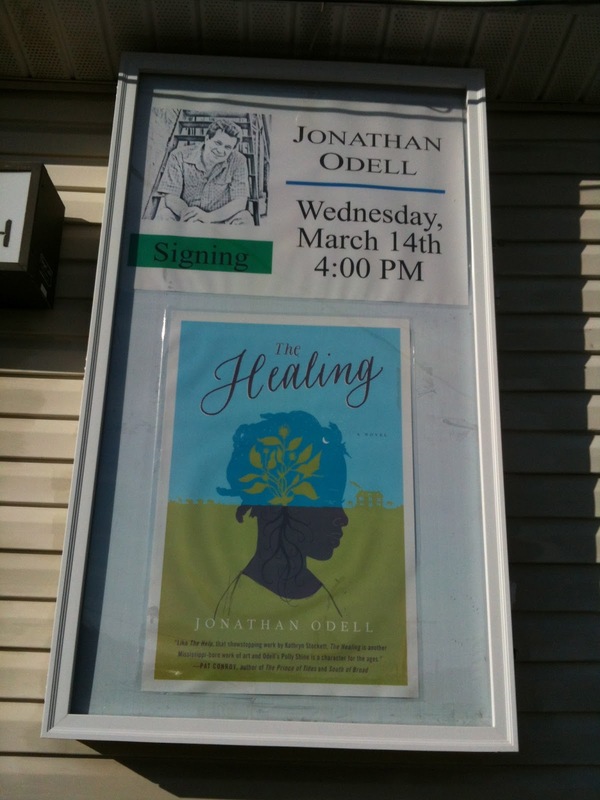 One of my favorite new books, The Healing by Jonathan Odell! 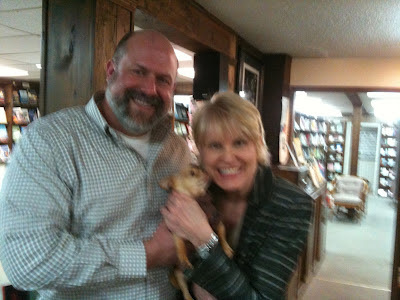 That Clovis is going to be incredibly famous before the book tour is over. OMG Clovis is going to be a star as well! You are going to be a tough act to follow!